This entry was posted in Reviews and tagged Blockbuster, Daniel Craig, entertainment, Film, hollywood, James Bond, Javier Bardem, Movie, Review, Roger Deakins, Sam Mendes, Skyfall. Bookmark the permalink. Hey great review really well written. I loved Skyfall and especially Javier Bardem, I’ve just got round to watching No Country For Old Men and praised Bardem hugely. Take a look at my review here http://thedavidryan.wordpress.com/2012/11/29/finally-got-round-to-watching-no-country-for-old-men/ and see what you think. I have to pretty much disagree with everything you said. 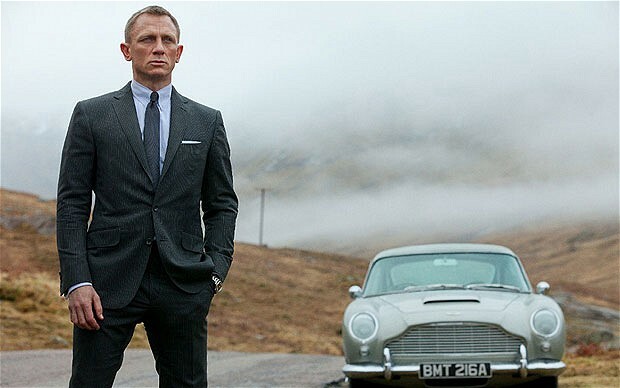 Skyfall did not take out many classic Bond elements at all. In fact, it has more in common with the early Connery-era Bonds than any of the 80s or 90s Bond films. And how is it unoriginal? For a Bond film (which are all incredibly formulaic), I thought Skyfall was surprisingly fresh. Sure, the story was predictable, but not nearly as predictable as every other Bond film. And as for boring, I guess that depends on one’s personal preference and attention span. I was not bored at all.